J V Crum III, JD, MBA, MS Psy, became a self-made entrepreneur millionaire in his twenties. 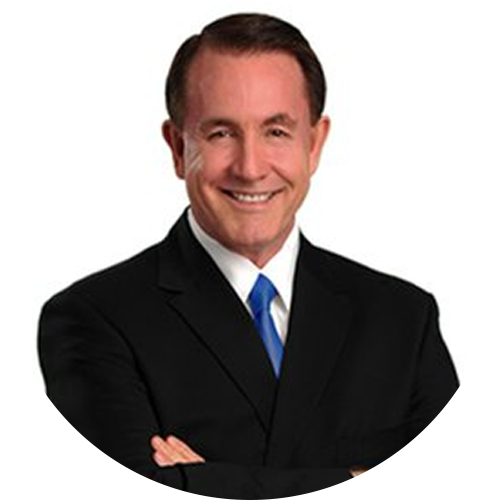 He is a #1 best-selling author, speaker, certified business coach, licensed attorney, serial entrepreneur, Huffington Post Columnist on Conscious Business, and is host of the #1 Ranked “Conscious Millionaire Show”, which is broadcast M-F as both a podcast and drive-time radio show. He interviews entrepreneurs and coaches who combine making a profit with creating a positive impact. He is the Founder and CEO of Conscious Millionaire Institute LLC, a global entrepreneur business coaching, training, and wealth-product business. J V is also the Founder/Director of the Conscious World Foundation, Inc, a global non-profit that helps youth, aged 18-25, create projects that uplift humanity and create positive change. J V has been an entrepreneur since the age of 4, when he set up his pup tent to sell “hand-squeezed tangerine juice” to high-school students when they got off the bus. At the age of 5, he decided the answer to his family’s often rocky and uncertain financial life, was to grow up to become a millionaire. Like many kids who grew up with a lot of financial certainty, he dreamed of a different life. By the age of twenty-five he had realized that dream and celebrated by purchasing a luxury home on the water and his first Mercedes. He had the “American Dream”. Except one thing was missing – he wasn’t doing anything that fulfilled him or that he felt uplifted others. This led to him eventual selling the companies to seek a higher path for both his life and how he impacted others. His journey to finding his true path included spending time at a Buddhist Monastery, doing trainings and work-study at Easlen, a personal development institute on the Big Sur Coast, and living in Boulder, CO.
Now, through Conscious Millionaire, he helps conscious entrepreneurs and coaches achieve 6 and 7-figure wealth by building businesses that combine creating profits with making a positive difference for their customers and the world. He is also the Director of Conscious World Foundation, Inc, which is a global non-profit focused on youth-leadership.